The coastline between these two metropolises is indeed an extraordinarily beautiful one, especially the one called Big Sur. This is a 150 kilometers (150 miles) long stretch of coast between Carmel-by-the-Sea in the north and Hearst Castle in the south. 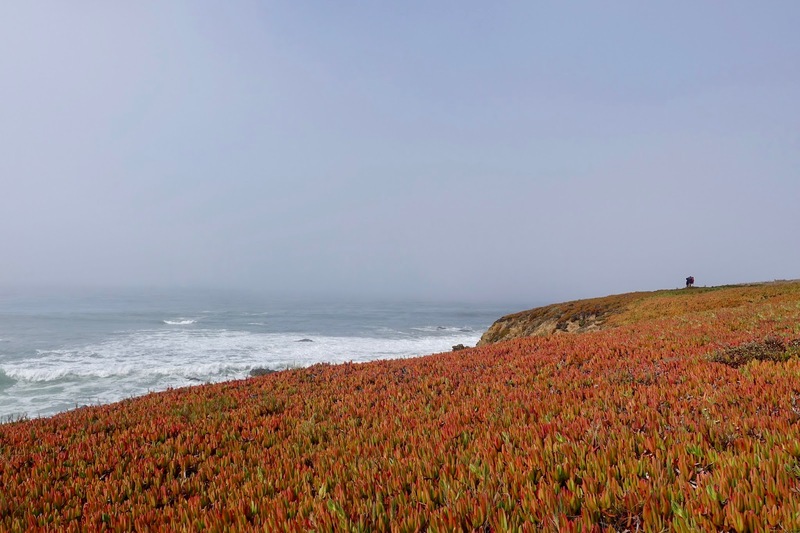 This magical area of California’s Central Coast, “the greatest meeting of land and water in the world” according to Francis Mc Comas, a watercolorist, is truly worth visiting. Unfortunately, it is not fully passable until well into 2018 due to a bridge collapse as well as rock and mud slides. Therefore, check out in advance which portions of Big Sur’s coastline are interrupted when planning to travel the area. 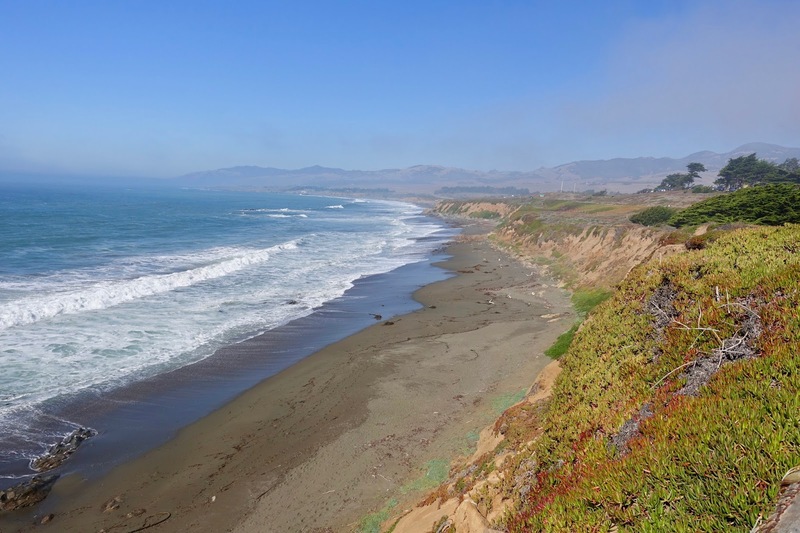 Cambria is located just a few minutes’ drive south of Hearst Castle, one of the sights I will come back to in a moment. 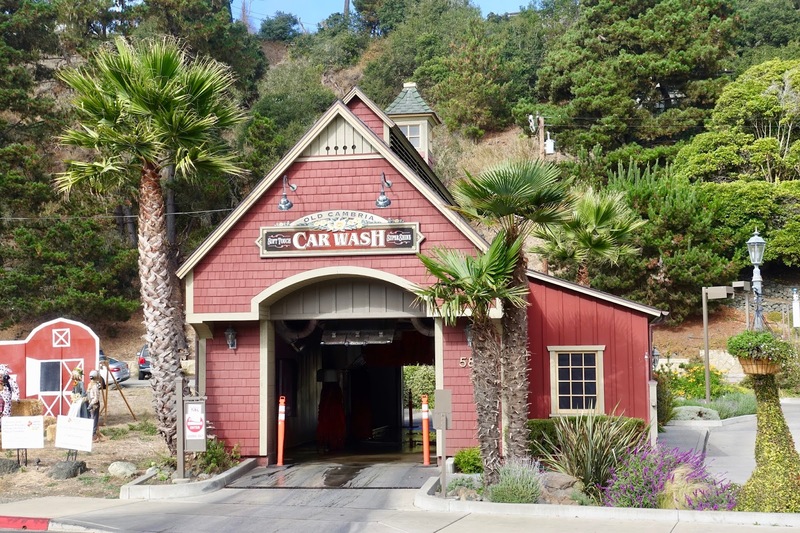 The village, which is considered “one of America’s prettiest town” by Forbes, is surrounded by Monterey pines. It is one of only three places where you can find such native forests. Furthermore, there are rocky cliffs and beaches. The sea is home to various species such as seals and sea otters. There are tide pools filled with sea anemones, sea urchins, crabs and other sea creatures. There is also the chance to view migrating whales. The town center is charming, with historic architecture, old-fashioned stores, antique shopping and shops featuring local artisans. 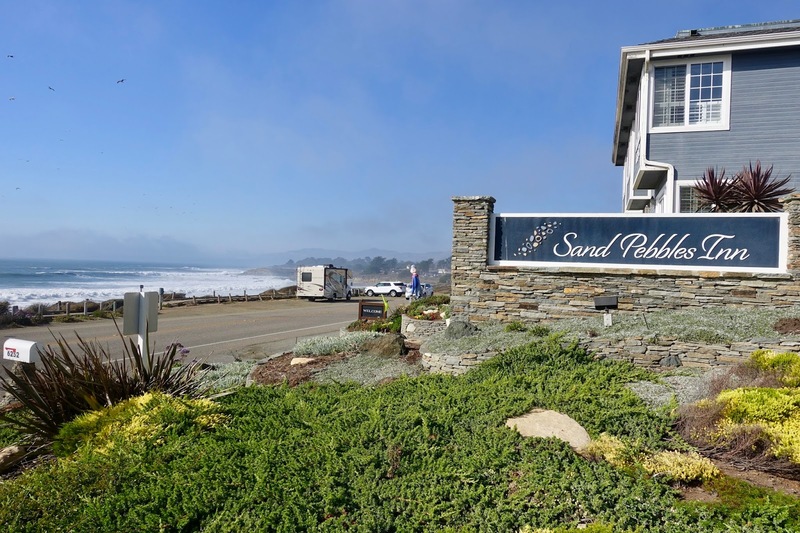 We appreciate fine accommodation but it is no easy thing to find such one in Cambria. For our second visit to this quaint town – the first one goes back many years -, we had difficulties in finding suitable lodging. both belonging to the Cambria Inns Collections and located directly on the stunning Moonstone Beach. 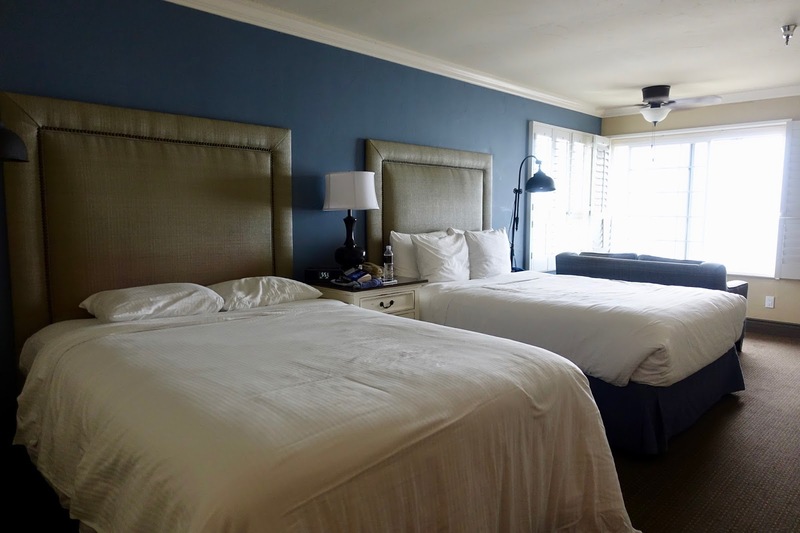 We went for the latter as their Double Queen Full Oceanview Room met our needs best. The room had been recently updated and was solid although unexceptional. We felt comfortable but it was far from being an upscale accommodation. 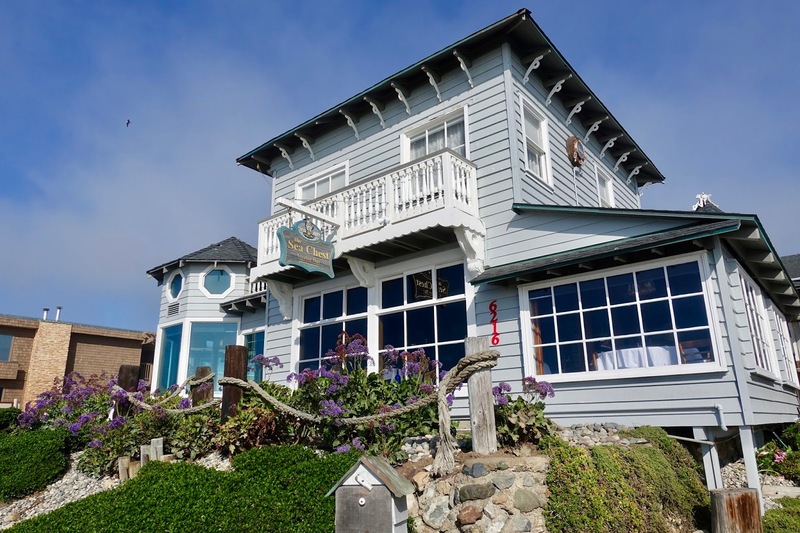 If you seek real high end lodging, then there are two establishments in the Big Sur Area but – frankly speaking – I do not consider them as places offering value for money and therefore I cannot recommend them without reservation. 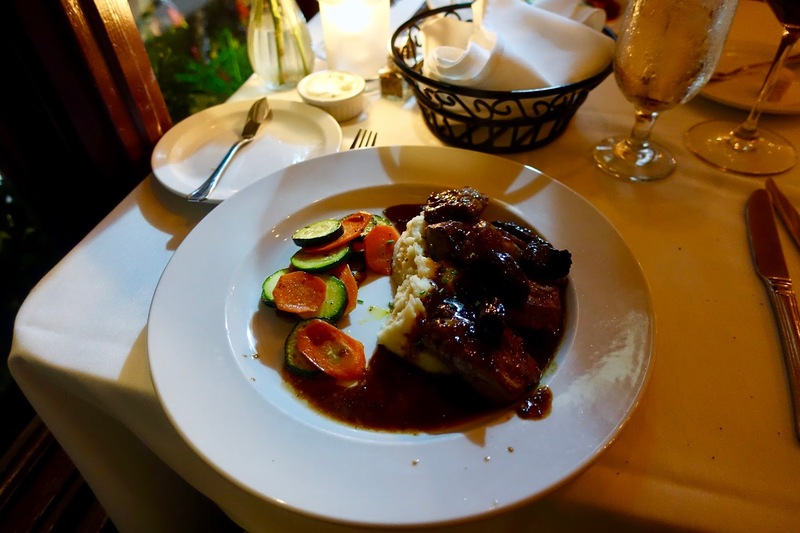 When we visited Cambria for the first time many years ago, we had dinner at a place called Sea Chest Oyster Bar featuring excellent sea food dishes in a casual setting. And image the restaurant is still in the higher ranks at TripAdvisor! We did not go there this time as the eatery does not take reservations and it is known for its long lines. Instead of revisiting an “old time favorite” we opted for Madeline’s Restaurant and were very satisfied with our choice. 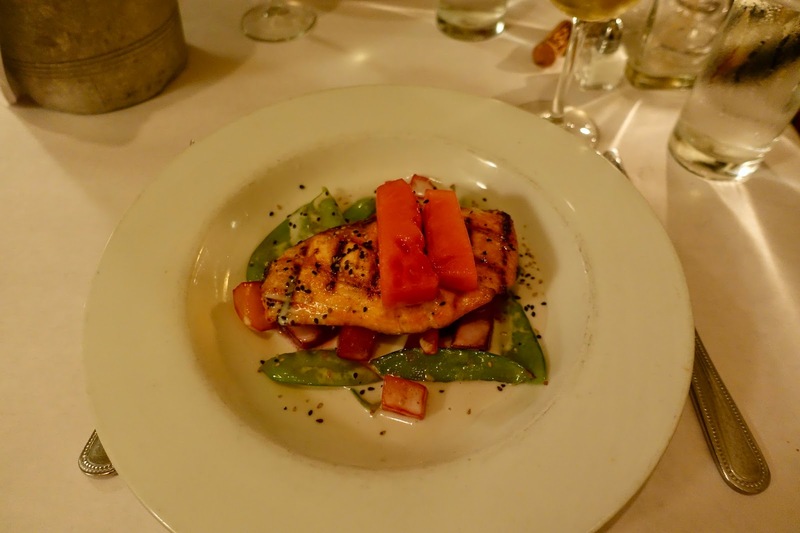 The dining-spot features upscale American-French food in an elegant, intimate atmosphere. 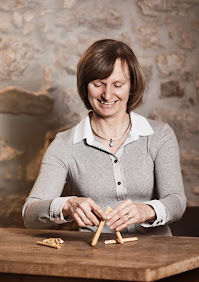 The food, regionally and seasonably sourced, is carefully prepared and arranged. Service is knowledgeable and smooth, prices are adequate, for me it is the absolute number one in town when it comes to fine dining. The restaurant of our choice for the second evening was Black Cat Bistro offering well-made American food influenced from various European countries. While I liked the somewhat eclectic approach, not every dish was equally convincing. Service is attentive and friendly, prices are okay and the ambiance is pleasant yet unpretentious. 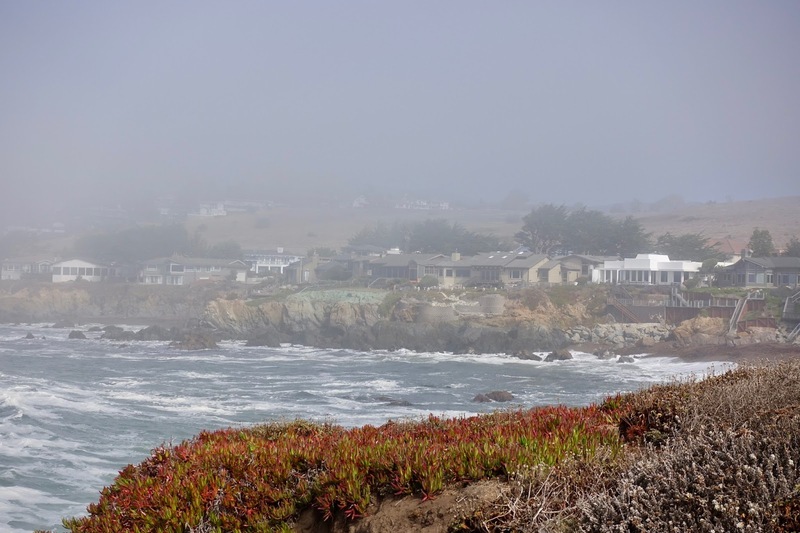 There are quite a lot of things to do in the quirky town of Cambria, and there are also several walking possibilities, what is highly appreciated by my husband and me. 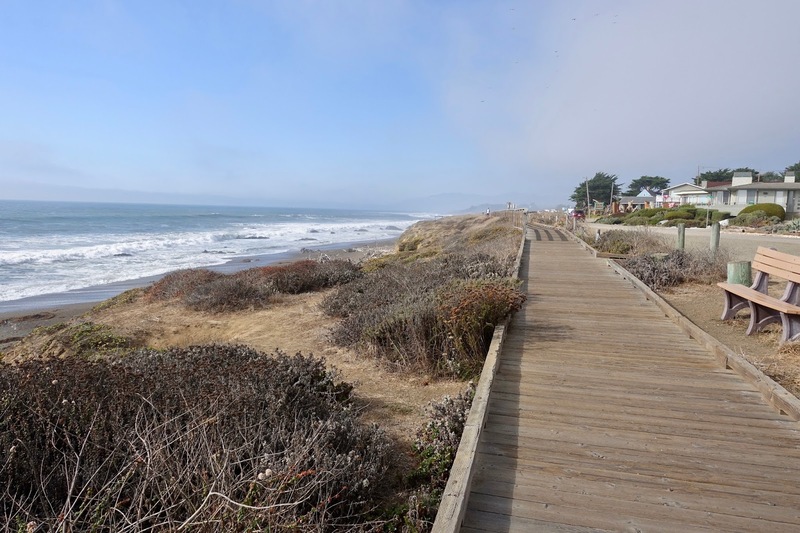 The most obvious activity when staying at a hotel on the beautiful Moonstone Beach as we did, is it to take a stroll along the Moonstone Beach Boardwalk. This amazing walkway is 2.5 kilometers (1.5 miles) long with several beach access points and benches to give the opportunity of observing the sea life and combing the beach. This is really a great thing to do on this rugged windswept coast. Other great trails can be found in the nearby Fiscalini Ranch Preserve. 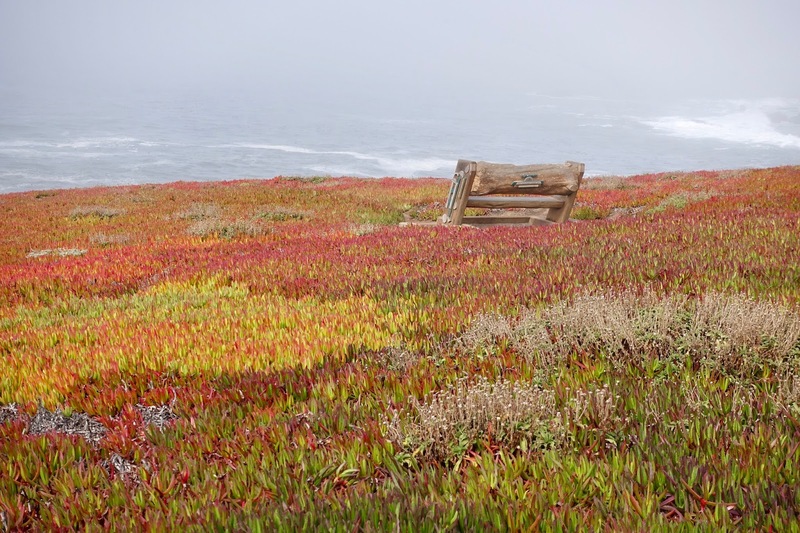 This 175-hectare (430-acre) park – belonging to the American Land Conservancy – protects over a mile of spectacular Pacific Ocean coastline. The bluff trail is easy to walk and offers fantastic vistas of the coastal scenery. Other trails lead uphill to pine and oak forests. When being in the area, a visit to the Hearst Castle, about six miles north of Cambria, has to be on everyone’s agenda. This immaculately curated mansion was the private residence of a publishing tycoon, William Randolph Hearst. This extraordinary temple of opulence and excess was completed in 1947 and is nowadays one of California’s most visited state parks. The estate consists of 165 rooms and 51 hectares (127 acres) of terraced gardens complete with fountains and pools. My visit to Hearst Castle dates back to my first stay here many years ago so I do not have current information on how to visit the place. According to my research online, the Grand Rooms guided tour is probably the best choice for first-timers. As it seems, you are also given time on your own to visit the gardens with the pools. 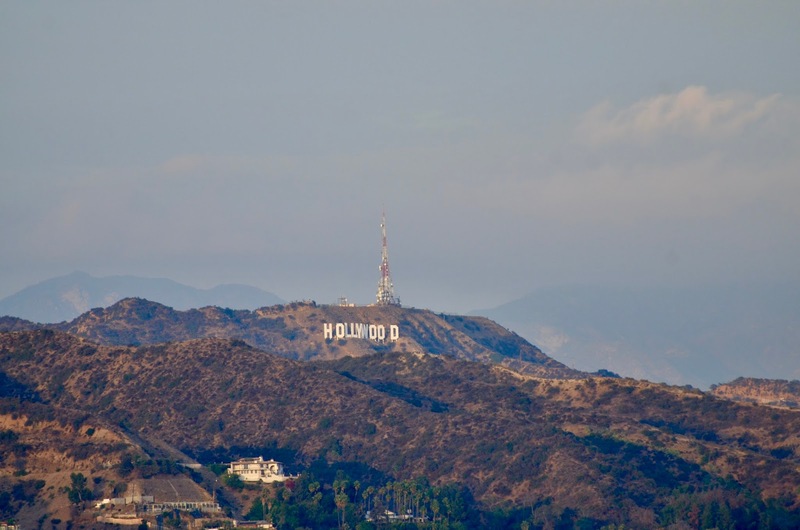 The subject of my next post will be Los Angeles and its surroundings. I will point out several places in and near this city where to stay and eat and things to do when appreciating the finer things in life and being into walking around a lot.